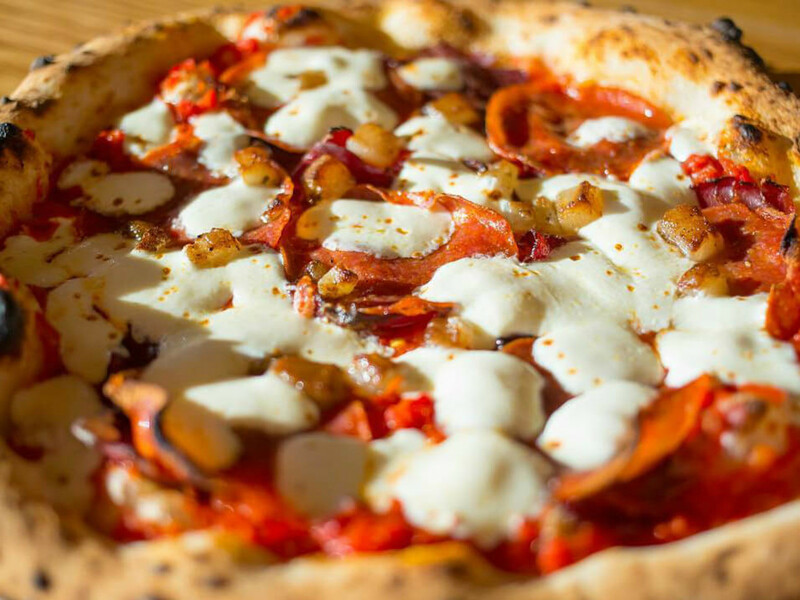 The rise of Austin’s pizza selection has been nothing short of meteoric. A half-decade ago, you’d simply head to Home Slice or Little Deli for East Coast pies and go to House Pizzeria or the backspace for Neapolitan-style pizza. Those four mainstays are all still beloved and thriving, but the city’s pizza scene has now grown exponentially. To help you sample some of our (relatively) new options, here are five quality pizza options to try right now. West Campus pizza received a major upgrade when noted Philadelphia chef Marc Vetri chose Austin as the first expansion city for his Pizzeria Vetri. Indoor seating is limited, but the restaurant has an expansive patio dining area. Pies here are done in Neapolitan-style and come in two different sizes. The standard options are here, but lesser-seen combinations like the salsiccia (with fennel sausage and roasted fennel) and the tonno (Sicilian tuna, onion, peperoncino) keep the menu interesting. Since Vetri is one of the East Coast’s smartest chefs, venture to the other sections as well: salads like the wood oven with Brussels sprouts, cauliflower, baby carrots, pears, and prosciutto cotto are sturdy menu additions rather than afterthoughts. If you have room, order a rotolo for the table — the house specialty pizza dough roll up features layers of cheese topped with a pistachio pesto sauce. Manor Road’s Unit-D scored points not just for pizza but for the thoughtfulness of creating a popular neighborhood hang. For starters, there’s an excellent Texas-focused beer menu with crowd-pleasers like Hops & Grain Zoe and limited-release picks like Lone Pint’s 667 IPA. The wine list is creatively curated and focuses on “New California” selections along with Italian and French food-friendly picks. Among the pizzas, our favorites include both the pepperoni primo (with bresaola, lardo, and spicy Calabrian peppers) and the sausage, which pairs neighbor Dai Due’s venison sausage with kale, sage, and an aged maple vinegar on a white sauce pie. Don’t overlook sides here: The carrots with tan tan spice and the beet salad with tangerines, yogurt, and mint are both lovely. 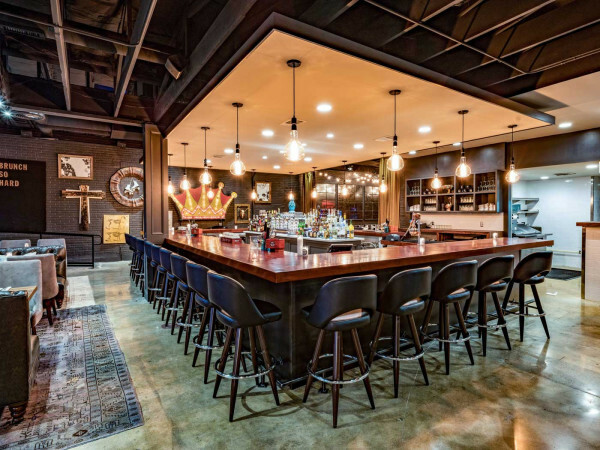 Bufalina owner Steven Dilley knows that North Central Austin is excited to have its own location of his popular East Side flagship, but he’s not content to do a carbon copy of the first location. “For the pizza menu, we're trying to keep about 50 to 60 percent overlap, with each spot having a few original items unique to them,” he says. As such, you’ll see quite a few differences between menus at the two locations. The Due location has recently featured a Brussels sprout pizza with ham, scallion pesto, and serrano and a Spanish chorizo pizza with manchego cheese and roasted peppers. Recent dessert specials have included carrot custard with honey, almonds, and breadcrumbs and an olive oil cake with pistachio ice cream. 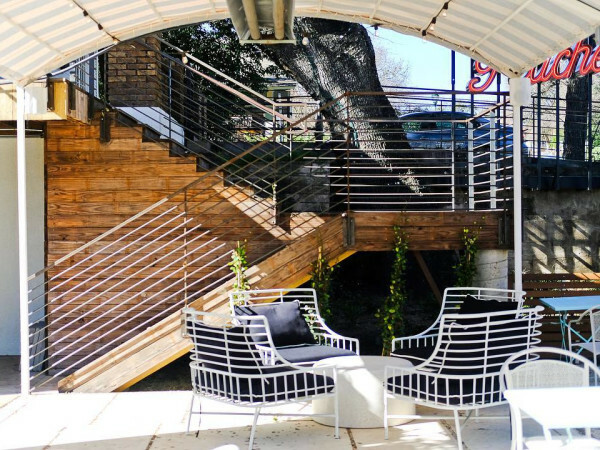 As with the East Austin location, wines are a delight here: smart European picks like Günther Steinmetz riesling share menu space with fun and fresh domestic choices like the affordable Broc Cellars “Love Red” Carignan blend. Every restaurant shutter presents an opportunity, and when Blackbird and Henry shuttered in late 2015, the expansion-minded Via 313 quickly secured the location for a second brick-and-mortar. The trailer favorite utilizes the kitchen space at both UT and Oak Hill locations to serve two styles of pie. While the bar pies are tasty, we recommend ordering the Detroit-style pizza (thick, baked in metal trays) that the restaurant is renowned for. Veggie lovers will dig the herbivore, which mixes mushroom, onion, green pepper, and black olives to powerful effect. Carnivores can opt for the Detroiter, which places smoked pepperoni under the cheese and adds natural casing pepperoni on top. A full bar is available with draft beer and cocktails to complement your pizza. While 40 North has been serving Neapolitan-style pizza on South First Street for over a year, the trailer still seems to fly a bit under the radar despite consistent accolades. The small kitchen means the menu is simple here: There’s a farro salad starter, a dessert of the day, and a seasonal selection of seven to eight pies. 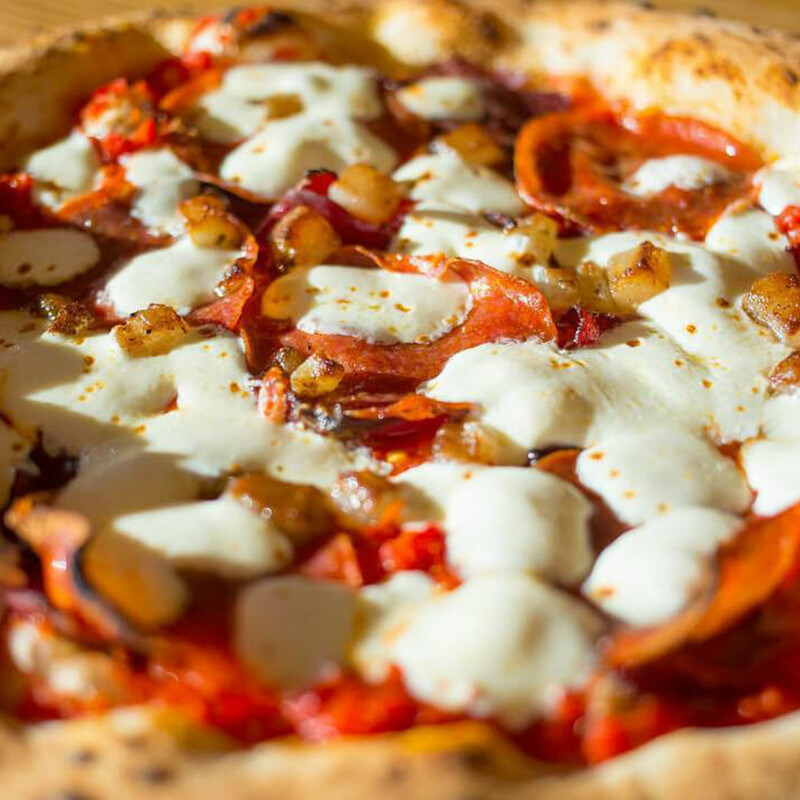 There’s some nice spice and heat on a number of selections: The roasted eggplant (a white pie) employs spicy chili flakes, while the hot honey uses (you guessed it) Mike’s Hot Honey and hot coppa (dry cured pork shoulder) for a winning combination of sweet and spicy accents. Daily specials lean toward the experimental: The current chorizo pizza pairs the spicy sausage with chimichurri sauce, peperonata, and stringy stracciatella cheese.